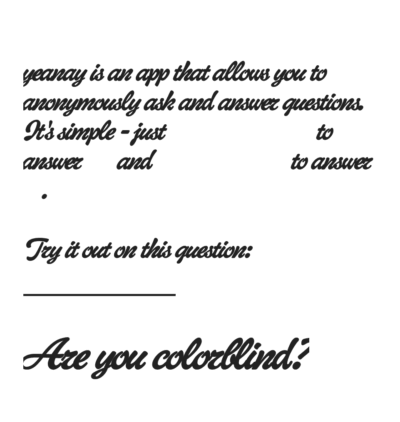 Yea Nay is a simple Android app to ask questions anonymously. The purpose of this app is to gain an overall perspective about certain questions and answers from people, which we usually do not feel very comfortable asking in public forums. This app provides the perfect anonymous platform to do it. You can submit your own questions to get response from others and answer questions that are asked by others. You can even flag a question if you find it inappropriate. Let us checkout what this app can do, one feature at a time. You might wanna checkout this Anonymous Instant Messenger. The home page is rather very plain and simple, where the app description is given in one line along with a starter question. You can swipe right to answer in affirmative or swipe left to answer in negative. 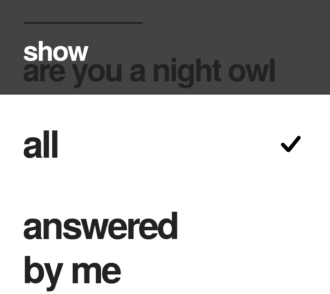 Once you make a swipe, you can see the total number of people who have answered for and against the question. At the bottom of the home page, there is a “+” button, which can be used to submit your own anonymous questions. This is the second page in the app. 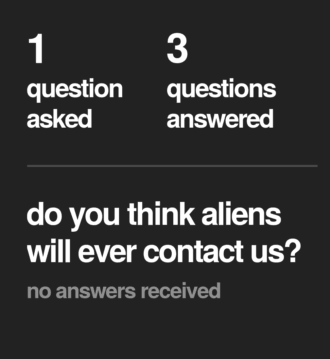 It has a simple black and white interface with a series of questions. You can keep right or left swiping on the questions and observe the total number of positive or negative answers which a question has gathered. At the top of the page, there are three different options, which open up three different options. The first option shows questions asked by you, along with response analytics of those questions. The second option lets you switch between questions to answer and questions already answered. The third option lets you ask a new question. Let us check them out. The first option is the Profile option. Here, you can check how many questions you have asked and answered as a user. The questions which you have asked are displayed in this page. You cannot answer your own questions but can view the kind of response they are getting from the general public. You can view the statistics separately for each question. 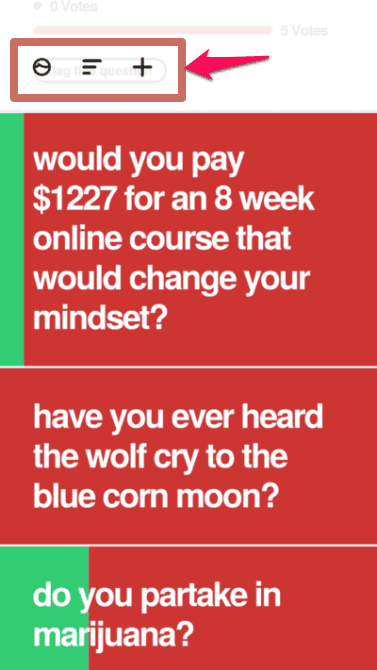 In the Show option, there are two choices. You can either choose the option to view the questions which you have answered or view all the questions available in the app for you to answer. Just like the questions you ask, the answers are also anonymous. This is the final option, represented by a “+”sign. You can type your own question and add it to the existing bucket of questions. As soon as you post a question, people can start responding to it. Yea Nay is a fun app for Android to ask questions anonymously, with a very simple and basic interface. While the monochromatic interface can help you save battery, it fails to create an interesting visual impact. In spite of being a new application, we did not find any glitches in its performance. The app performs its job well and provides a good way of providing psychological insights into the thoughts of other users.